In the era of technology google has come up with Project ARA, google make the most of the employee power they have and keep innovating and proving that they are the best. Something similar is done by tech giant ,Google in the Project ARA. 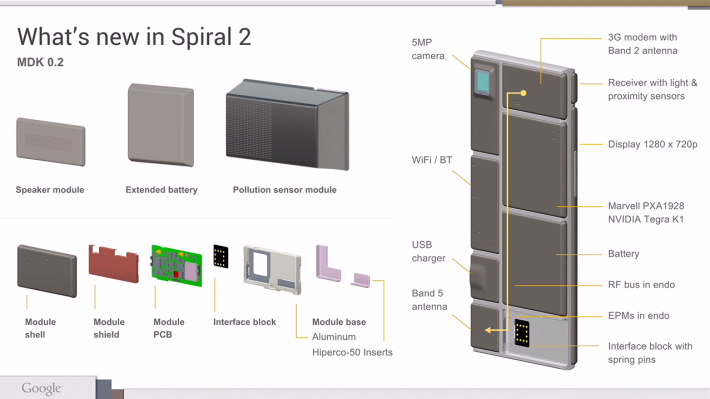 This project is deply focusing on modularizing the smartphones and making it portable for Open Source Hardware. So far google provided an highly customizable operating system for smart phones but now it's time to awesomely customize your smart phone's harware such as display , the camera or an extra battery. Bored of same old 8 MP camera ?? updgrade it to the latest one available in the market , or may be you are having an ill hardware which is making you loose your patience on the phone and rethink why you bought the handset ?? just change it to the latest and may be more powerfull one available. Smart right ? Okay so let us get into the topic of this particular post and get to know what is it so awesome to get this handset. First thing is that this phone is monitored under google so it's no point in bahaving like a detective towards this handset and suspecting it to be a heart breaking useless handset. It's quality from google.... always. Next big thing to know is that this handset will be realeased in Puerto Rico later in 2015 for pilot testing. This device will run Android , very much obvious it is since google is hosting this project. 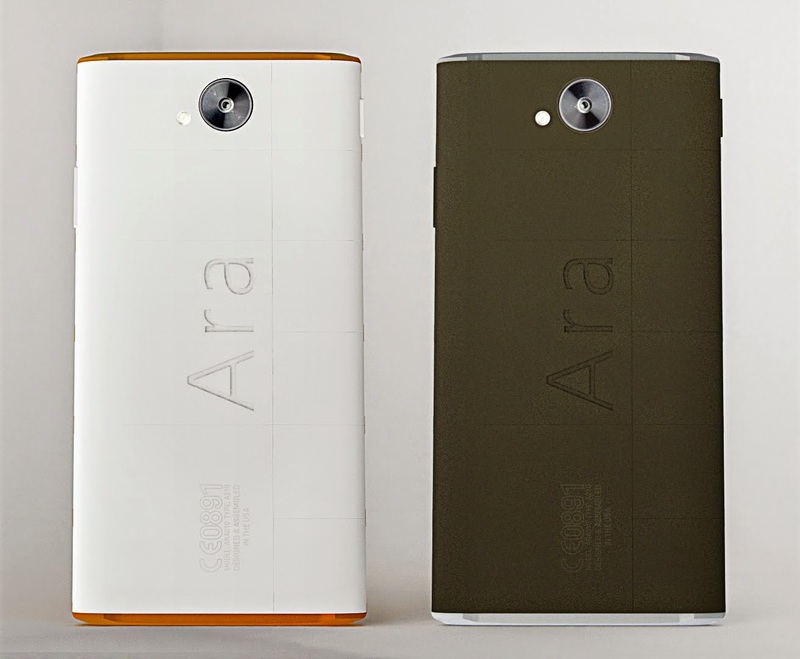 Rumors also say that these handset might have Windows OS in upcoming years. It is decided that handset will be available in market in three different sizes initially the size of handset would be almost similar to Nokia 3310 and next would a medium sized handset which would resemble LG Nexus 5 and in future the handset will be available in the size similar to Samsung Galaxy Note 3. Sooner or later , people will be loving this innovation from google , in the beginning it will be difficult for people to adapt to this change but as the saying goes "It is not the strongest of the species that survives, nor the most intelligent. It is the one that is the most adaptable to change." Charles Darwin. Let's change with changing world and change the way the world will change in future. Get ready for a biggest change in the history of smartphones guys , thanks to google !! Coming days will be socially awesome...Brace yourself change is about to happen. Every page you visit online asks for a sign up , be it a shopping website or news website or any website you get news/information of any sought from. Today, information is worth everything. Companies send you emails they've already got vetted. The one who do such activities can see when you open a mail, what you click after that and what is your location. They track emails by adding small images or pixels that inform them about your data. These tracking tools work once you click the mail, so the only method to stop being tracked by anyone is not by opening that mail. The question here is how one can know if the mail is the safe one or the tracked one before opening it. But there's tool called “Ugly Email” at your rescue .Ugly email checks all your emails and exposes the ones being tracked. Each tracked mail is shown with an “evil eye” to easily recognize such emails. Currently, this works by detecting pixels from Yesware, Streak, MailChimp, Mandrill, Bananatag and Postmark. They are actively working on adding more. Open your Google Chrome browser on your PC. Click this link to install Ugly Email to save yourself from tracked emails. Click “Add to Chrome” in the new tab and you are good to go. The next time you receive an e-mail, a tiny eye symbol will be there. It is an indication if it is vetted by any tracking tool. This tool only works with Gmail and is currently available as a Chrome extension. They are working to add Firefox support very soon. Some of you might not see eye symbol on any of your e-mail, that’s because you got no vetted mails. Congrats. The world is becoming smart with growing technologies , let's get smarter to avoid it's misuse. 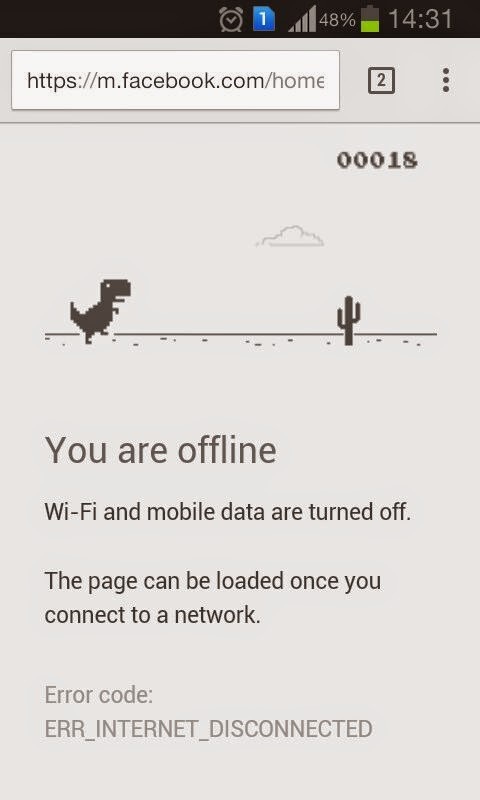 Did you know that there is a hidden game in chrome? Yes and its pretty cool. As always with Google, that is not all. There is an easter egg hidden. Just click Space Bar and you will know what I am talking about. There is an addictive game hidden there. So next time you don't have internet you know what to do. Open chrome browser and hit SpaceBar. If you are using mobile you can still play the game. When you reach the screen tap on the T-Rex. Happy gaming. Share your highest score with us. A lot of reports have showed that people have ruined huge amount of time being online on facebook also getting into trouble by various means, be it account hacking or fake accounts fooling you. But you will be amazed as you read on ,down the post. The reason why you will be amazed is unique in itself and has never happened yet. Social networking giant-Facebook has a system working all over the world on all accounts that keep an eye on statuses ,posts and your daily activity. This system is dedicated to prevent suicide of the users whom their friends think are undergoing mental pressure and are having suicidal thoughts.The users who think ,someone might commit suicide with the statuses they post, likes and shares they do can report these kind of activities to facebook and that reported post will be studied by a third party and analyzed thoroughly and if they think that a particular user needs attention in terms of mental condolence to prevent their suicide. 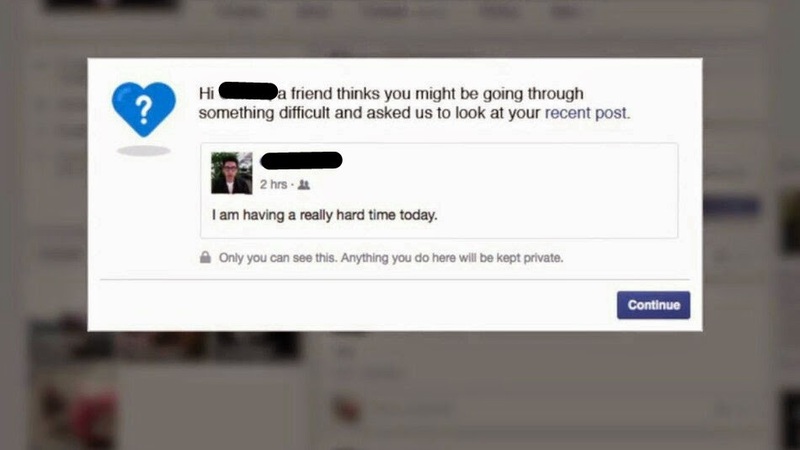 When it gets confirmed by the third party that a particular user might attempt suicide, facebook pops up a message as shown below. 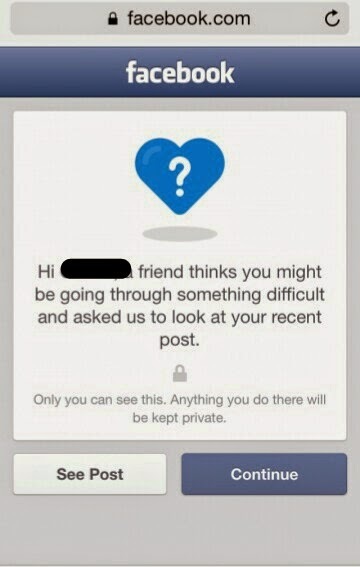 It lets the users know that "a friend thinks you might be going through something difficult and asked us to look at your recent post". Only the user can see this pop up and everything that follows.After the user is reached out by facebook , following options are shown up to the user one by one. You can then choose to talk to a friend ,or a helpline support-"You're not alone,we do this to many people every month" says the notification. As we know last October facebook apologized for mistakenly labeling transgenders people's names as "Fake" under its "real name". For this set of alerts ,facebook has partnered with many mental health organizations which include Forefront , No Matters Now , National Suicide Prevention Lifeline & Save.org. Facebook is No more a place where you aren't safe,no doubts on the vulnerability of being there but no one can deny the safety provided there. 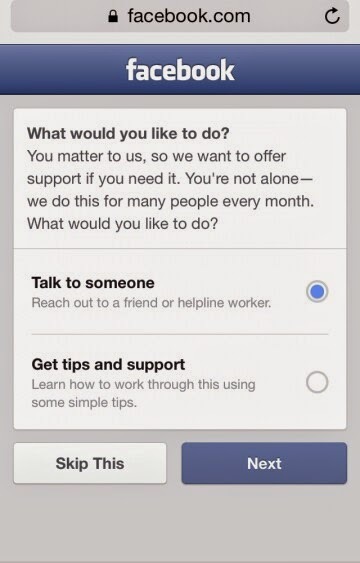 Facebook has a smarter way to take care of its users, though it's a indirect way to take care. Let's join hands to save lives, let's feel blessed on doing so. Let's prove that technology isn't always a boon. Save a life and feel like a superhero.....! !